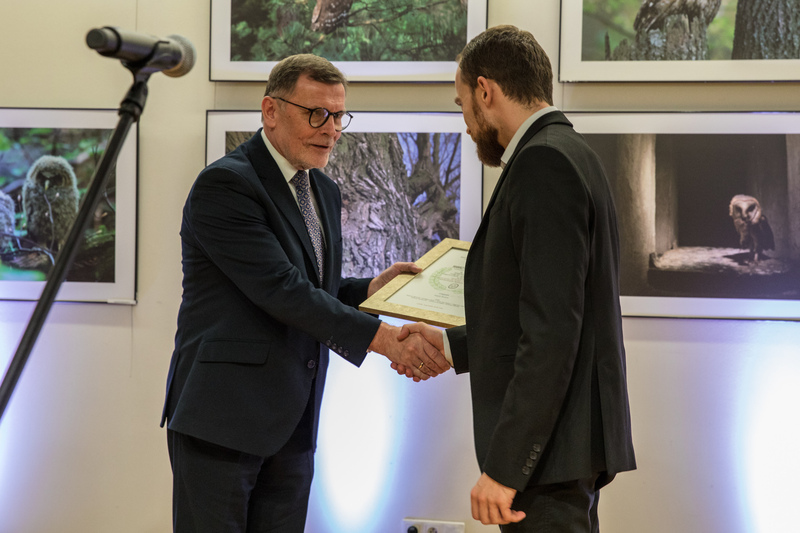 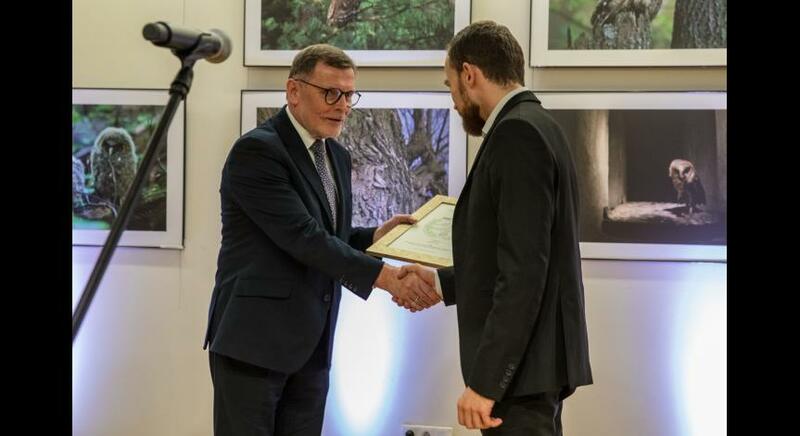 It is with great pleasure for us to inform that a book by the State Museum at Majdanek has received, for the second time in a row, the Paweł Konrad’s Laurel award in the contest "The Book of the Year" organized by the Hieronim Łopaciński Voivodship Library in Lublin. 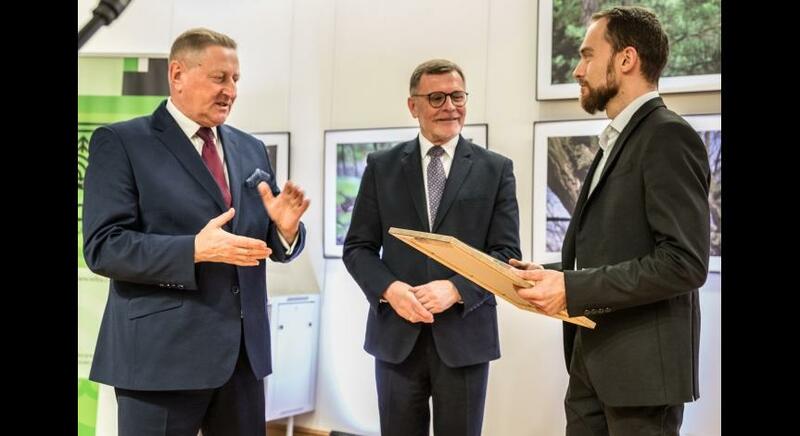 This time the jury rewarded album “Districts of Extermination. 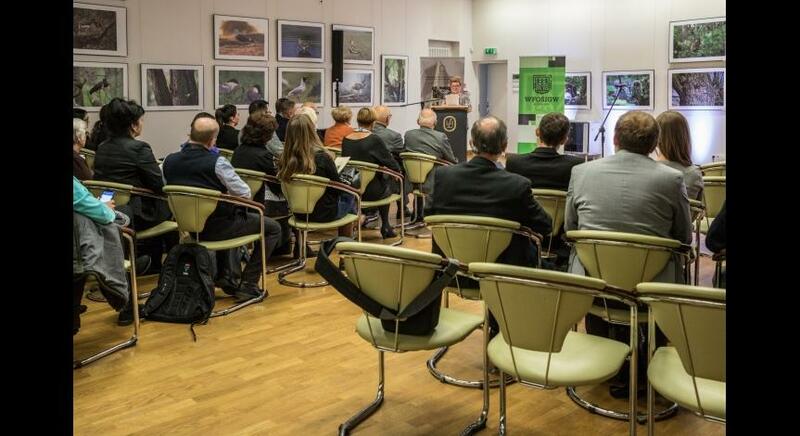 Ghettos for Jews in German-occupied Lublin” by Krzysztof Banach. 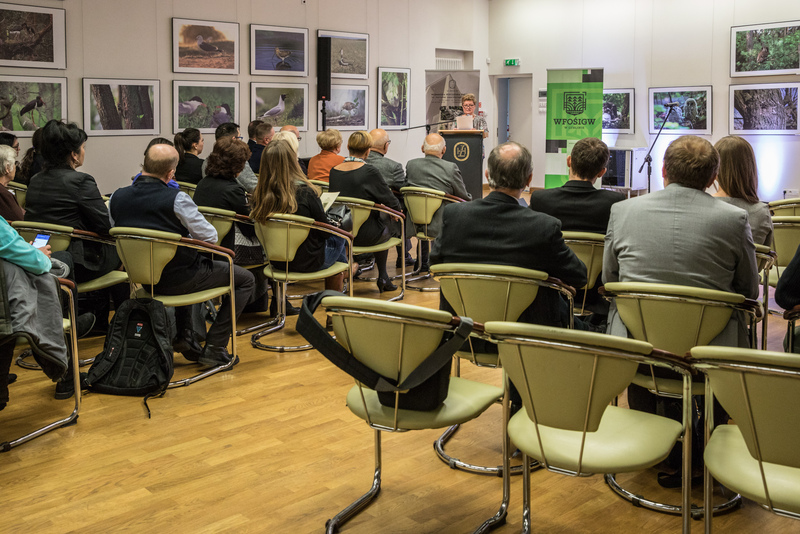 The contest is a cyclic event whose aim is to reward beautiful and valuable books devoted to the Lublin region. 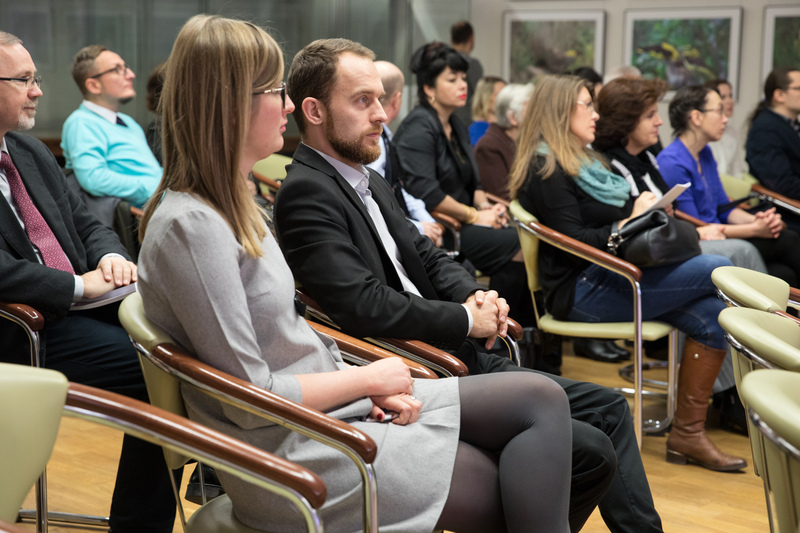 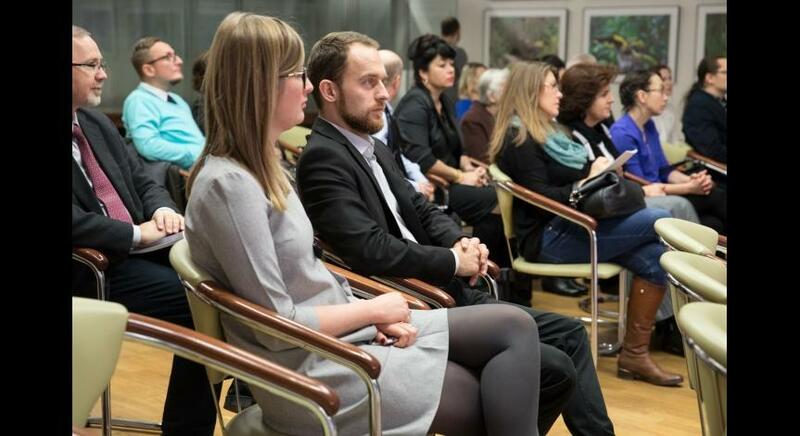 The awards ceremony was held on December 6 in the seat of the Library. 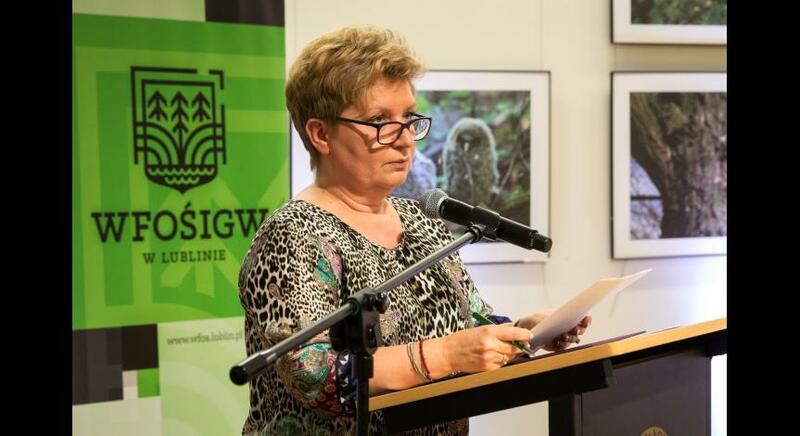 This year nearly 40 books were taken into account in the competition. 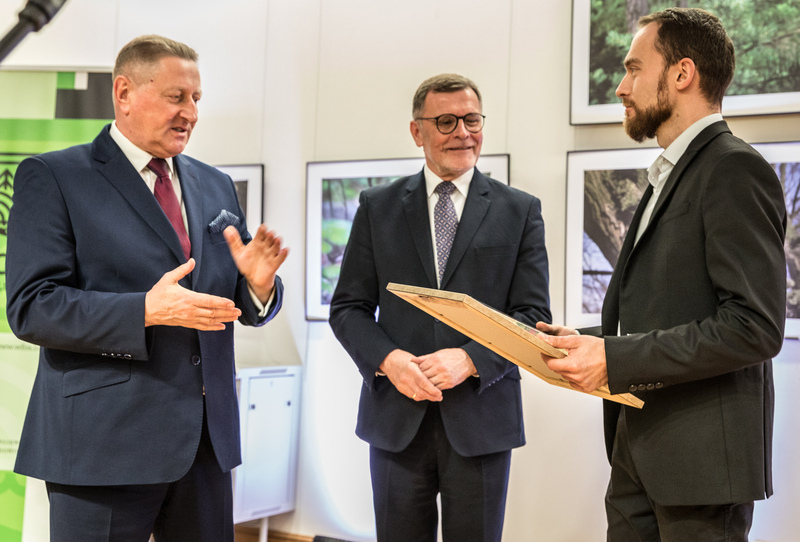 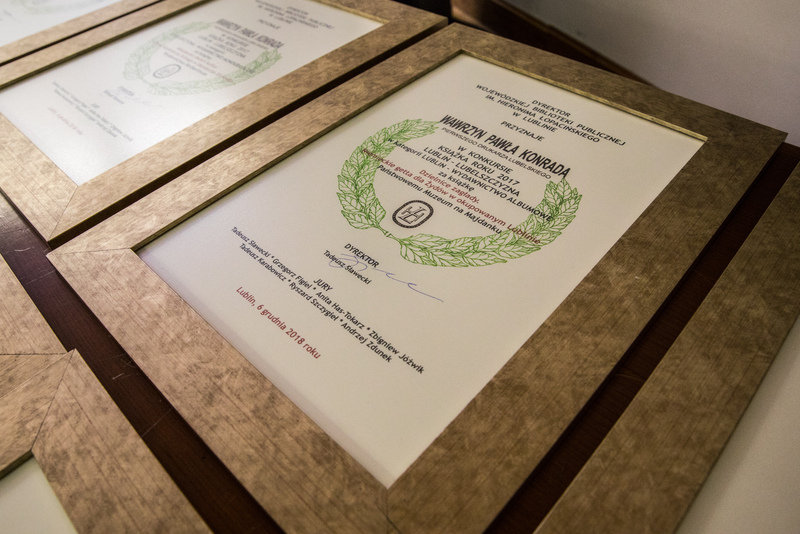 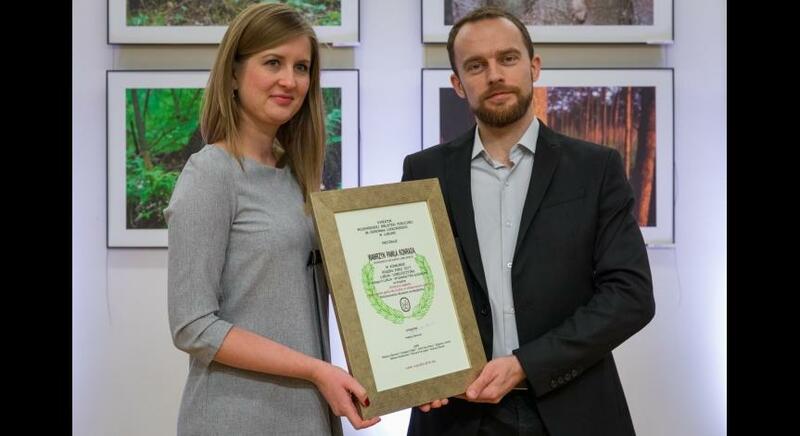 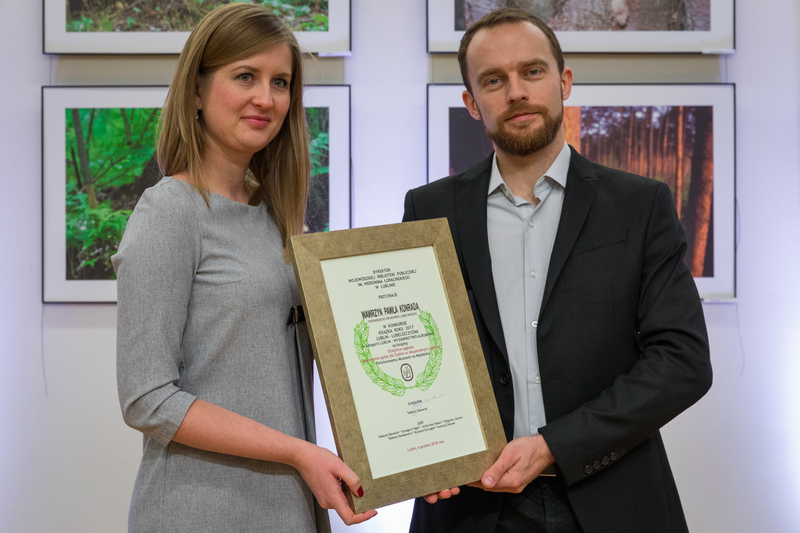 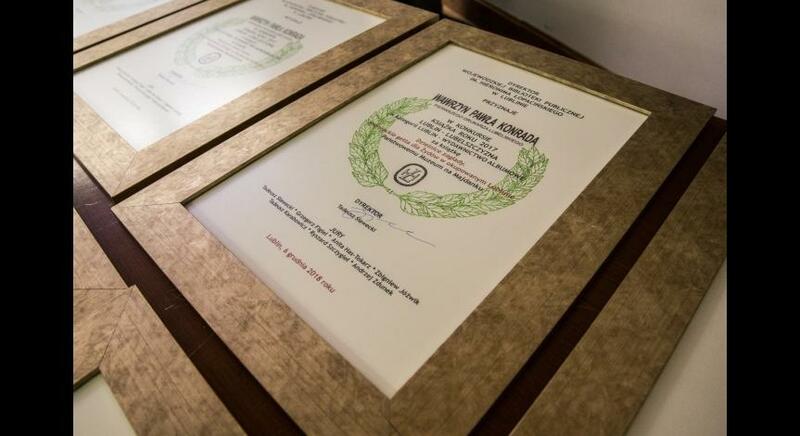 “Districts of Extermination” was awarded in the category Lublin – album. 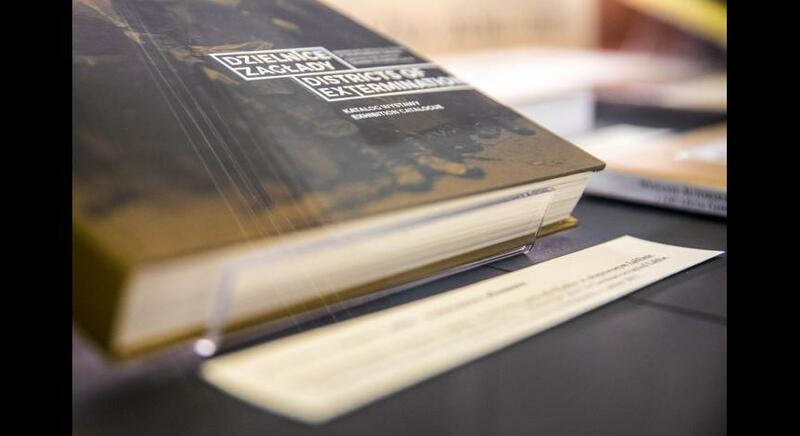 "Districts of Extermination" is a catalogue relating to the historical exhibition of the State Museum at Majdanek documenting the history of the two German ghettos for Jews existing in Lublin between 1941 and 1942. 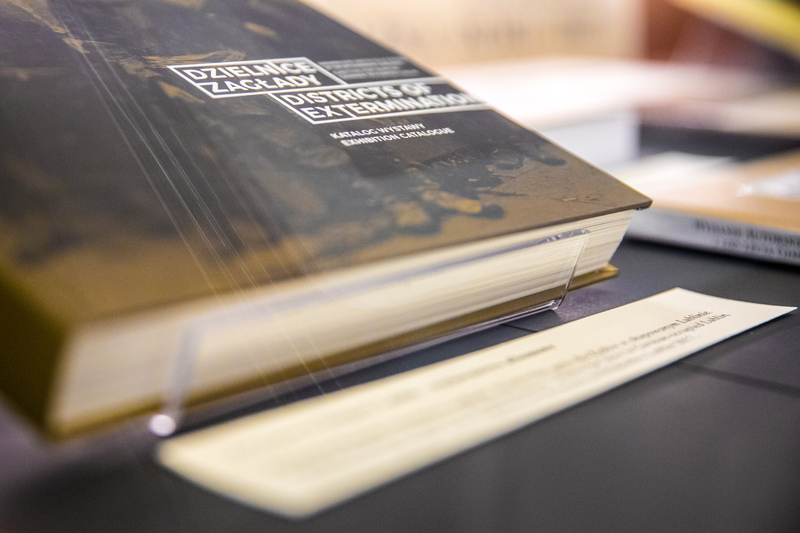 The publication comprises over 150 unique photographs and documents, often unpublished before, as well as almost 70 excerpts from the accounts of eye witnesses to the historical events. 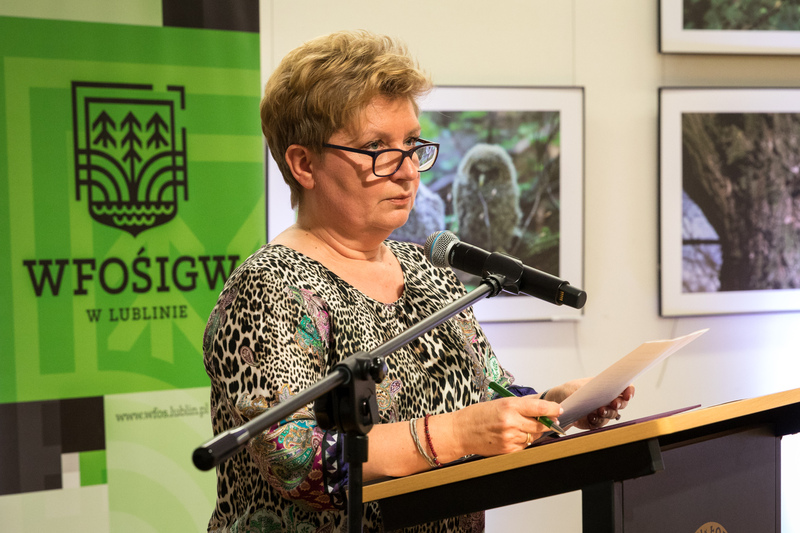 The materials are complemented by the authors’ historical commentary and present one of the most tragic periods of Lublin’s history in a concise and comprehensible manner.